Rapid changes in coastal ecosystems are happening around the world, but we are still in the process of learning how to assess the risk of such changes before they happen. Professor Simon Thrush is Director of the Institute of Marine Science and Director of the George Mason Centre for the Natural Environment at the University of Auckland with research interests in marine ecology, marine ecosystem services, resilience and tipping points in marine ecosystems and human impacts on the environment. Professor Thrush has a strong research focus on the interactions between ecosystems and society as we seek to identify effective processes for change that will help society make informed choices about how we restore, conserve and use marine ecosystems. He is interested in the positive potential we have to actively restore degraded coastal ecosystems by generating the ecological knowledge needed for successful restoration, identifying the ecosystem benefits this will provide and in sustaining engagement of society. Professor Thrush obtained a BSc (Hons) from the University of Otago and a PhD from the University of East Anglia, England. 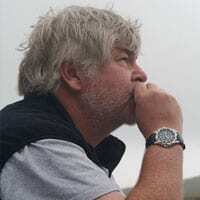 He has over 30 years’ experience in the development and implementation of strategic ecological research to influence resource management and improve societal valuation of marine ecosystems. He has worked in New Zealand, Europe, USA and Antarctica, has contributed to over 200 publications in the peer reviewed scientific literature and collaborates with colleagues around the world.